God is generous and so he calls us to be as well. What we do with what God has given us shows the world where our hearts are at and helps proclaim the gospel. We want to worship God by giving back to him through our time, talents, and treasure. We give God our time by spending it with him daily in prayer and scripture reading. We give God our talent by serving him in the church and in the community through our God-given gifts he has placed in each of us. Finally, we give God our treasure by giving to the church financially in order to advance the good news of Jesus. Whether you’d like to give a single gift, schedule recurring donations, or view your giving history, you can do it all online. It’s quick, easy, and secure. With our simple service you can give by using your checking account or debit card – whichever is most convenient for you – and you can quickly set up a recurring gift so you don’t have to remember to bring a check to church. The safe and flexible option provided by online giving is one of the easiest ways to give to Liberty Hill. We make it clear each time we give our financial offerings during our weekly services: your offering is your choice. We don't pressure or persuade. For those who are ready to give, our weekly time of offering during our worship services is an opportunity, not a requirement. 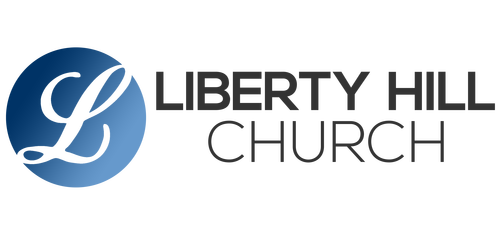 Make checks payable to Liberty Hill Church.